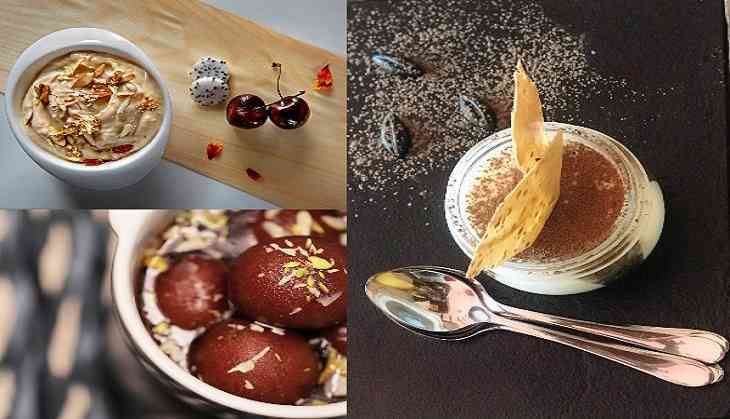 Home » Lifestyle News » Don the chef's cap this Raksha Bandhan! Raksha Bandhan is a day that celebrates the everlasting bond between brothers and sisters. Apart from tying rakhis and exchanging gifts, sweets are a major part of the day, just like any other festival in India. This Rakhi, skip the regular mithai and put on the chef cap! Get cooking this Raksha Bandhan and brighten up your sibling's day with a mouth-watering sweet dish. Here are some easy-to-make recipes, which will not only add a personal touch, but will also save your money! Who can say no to Tiramisu? The sweet delight is easier to make than you'd imagine. Here's a recipe by Chef Ajay Veer Gusain of Symposium, that will make for a prefect bribe for a bigger gift! Give your sibling's taste buds a well deserved treat with this recipe. A carrot cake is easy to bake and will also not take much of your time. · Preheat oven to 350 degrees, grease a 9-inch round cake pan with cooking spray. Mix sugar, oil, eggs, and vanilla together in a bowl and set aside. · In a large mixing bowl, mix the flour, baking soda, baking powder, salt, and cinnamon together. Add the pineapple, carrots, coconut, raisins, walnuts, and oil mixture and mix with a wooden spoon until everything is wet and combined. Pour batter into pan and spread evenly. · Bake for 15-20 minutes and begin making the caramel sauce right after taking the cake out. This Raksha Bandhan, let yourself enjoy sweet delicacies without any guilt by replacing sugar with healthy alternatives like maple. Chef Manish Mehrotra of Indian Accent has a healthy recipe of Shrikhand made with pure maple syrup. · Hang yogurt in a muslin cloth overnight. · Heat pure maple syrup to a thick syrup stage. Let it cool down to room temperature. · Mix the two till a smooth consistency is obtained. Avoid over-mixing. · Add the toasted almond flour and mix well. · Pour the mixture into a bowl and let it refrigerate for 3-4 hours. · Garnish with figs, toasted sliced almonds and fresh cherries. Not just Shrikhand, maple can fit in with other sweets too. Try this gulab jamun recipe with maple syrup. • Mash the khoya, mix in the flour and baking soda and knead into firm dough. • Shape the dough into smooth marble-sized balls. • Heat ghee and lower the heat to fry these balls of dough until they turn light brown. • Reduce pure maple syrup in a pot, add milk and continue boiling over high flame. • Cook till syrup thickens a bit and let it cool for about 30 minutes. • Strain through a fine nylon sieve or muslin cloth, add cardamom and bring syrup to a boil again. What are you waiting for? Go try out these recipes and become the best sibling this Rakhi!